Today, I am going to talk about counting cards. It’s important to pay close attention because the dealer’s hands are quick. A simple count of cards establishes value for each card: a value of +1 for cards from 2 to 6, a value of 0 for cards from 7 to 9, and a value of -1 for cards from 10 to A. When the count is high, it means that there is a higher proportion of high cards in the deck…Oh, this blog isn’t about blackjack? Are we supposed to talk about Magic the Gathering? Many times, players ask us “Have I played a land this turn?” or “Does my opponent have one card too many?” or “Judge, I don’t know what turn this is.” Then you think about life, the universe, and the players’ lack of attention. But you are here to help, so you channel all your energy and try, as best as possible, to answer the player’s question. But is there a method behind the madness? Could it be that we are able to reverse engineer an answer to these questions? It’s very possible! It seems that we have on the battlefield a 4-drop creature, that is, a creature that costs 4 mana to cast. This creature was cast last turn, since the lands are untapped. To pay 4 mana, Anita would have to have had 4 lands. Thus, we can conclude that Anita has not yet played a land this turn. There is one other way to resolve this. Imagine for a moment that Yeva’s Forcemage and Pharika’s Disciple are not on the battlefield. Instead, Anita has 7 cards in her hand. 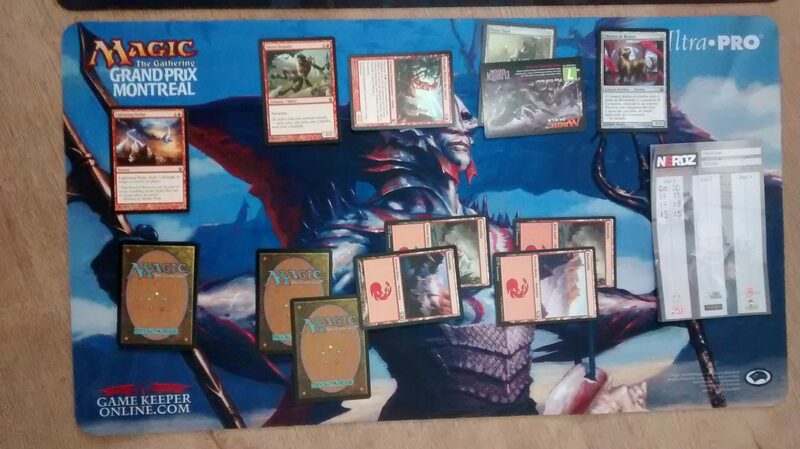 We have 7 cards in hand + 4 lands on the battlefield. We don’t want to count Elvish Visionary. Why not? Because when it enters the battlefield, Anita draws a card, which means it replaces itself. To count Elvish Visionary, then, is to count one card too many. 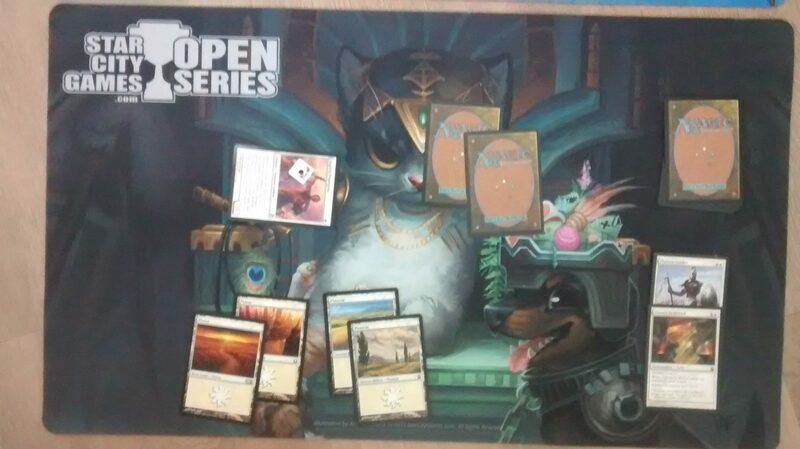 Anita’s initial hand had 7 cards on turn 1, since she did not take any mulligans and she played first. As she now has 11 cards, this means that we are on turn 5. Four cards were drawn; this means that four turns have passed. We start at turn 1, then 4 turns passed, so we are now on turn 5. Assuming that she did not miss a land drop on the previous turns, she has not played a land this turn. Imagine now that Anderson calls you to his table and asks you, “Judge, I would like to play a spider now, but I don’t remember if I played a land this turn.” You ask the basic questions; if Anderson began the game and if any player mulliganed. He answers that he played first and neither player mulliganed. How can we determine if Anderson has played a land this turn? Looking in Anderson’s graveyard, we can see an Unholy Hunger which is a 5 drop. Asking Anderson, he tells you that he cast Unholy Hunger last turn and this turn he played Eyeblight Assassin. Thus, last turn he had 5 lands, so he has not played a land this turn. We are going to complicate things just a bit more. In this game, Adriana is playing UR against Nestor, who is BG. Nestor believes that Adriana is cheating: “Judge, judge! My opponent drew one card too many! Judge, she’s cheating!” and now we need to find out if Adriana really drew an extra card or not. At the table, what are the first questions we need to ask? The basic ones as always; “Who played first?” and “Did anyone mulligan?”. The players respond, “Nestor started, and neither player mulliganed.” Then you look at the table and check it out. What do we do now? We need to proceed with caution, after all, this scenario involves cards that draw other cards, like Infernal Scarring, Stratus Walk, and Read the Bones. This scenario also involves cards that put cards from the library into the graveyard, for example, Returned Centaur and Screeching Skaab. Next, let’s ask the players a few more questions. Judge: What turn are we on? Players: We don’t know, but we are on Adriana’s turn and she hasn’t attacked yet. Judge: Adriana, what cards did you mill with Screeching Skaab? Adriana: I milled Stratus Walk and Mountain. Judge: Nestor, what cards did you mill with Returned Centaur? 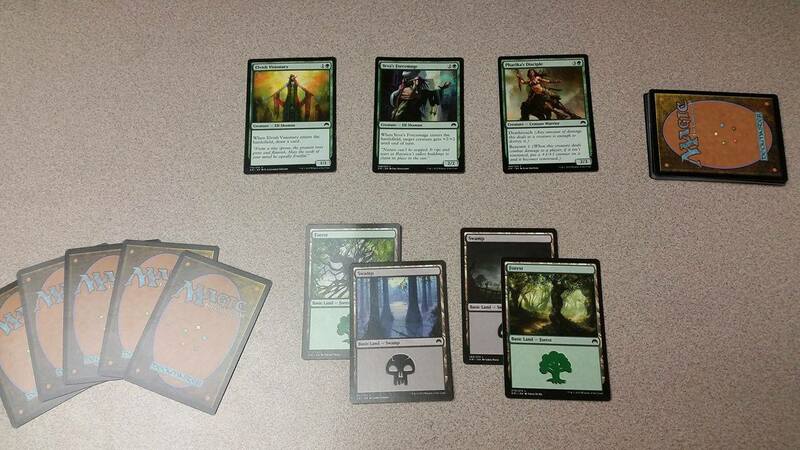 Nestor: I milled Forest, Llanowar Empath, Joraga Invocation, and Pharika’s Disciple. Judge: Nestor, did you draw a card a card for Infernal Scarring? Nestor: No, because she Dispersed the creature I was enchanting in response. This count gives a difference of 2 cards, but this difference is only supposed to be 1 card because Adriana drew first. That is, Adriana drew one more card than Nestor. Spectator: Judge, judge, wait a minute. Nestor is famous for cheating in FNM’s here at this store. I think he is lying! Judge: But how is he lying? In fact, Adriana has one card more. Spectator: Maybe he drew one card too few and wanted to frame her! If counting cards isn’t sufficient, what more can we do? Nestor: There is. She played this boring little faerie on turn one and was attacking me every turn since turn 2. There was one turn where she gave it Titan’s Strength. We can see that ’19’ occurred on the second turn and we have 10 changes of life, but one of them happened because of Read the Bones, so 9 turns have passed. Then this is Adriana’s 10th turn. Adriana has drawn an initial hand of 7 cards and over 10 turns has drawn 10 cards, so she should be at 17, not 18… Elementary, my dear Watson. When I am counting cards, I always begin with the basic questions: “Who played first? 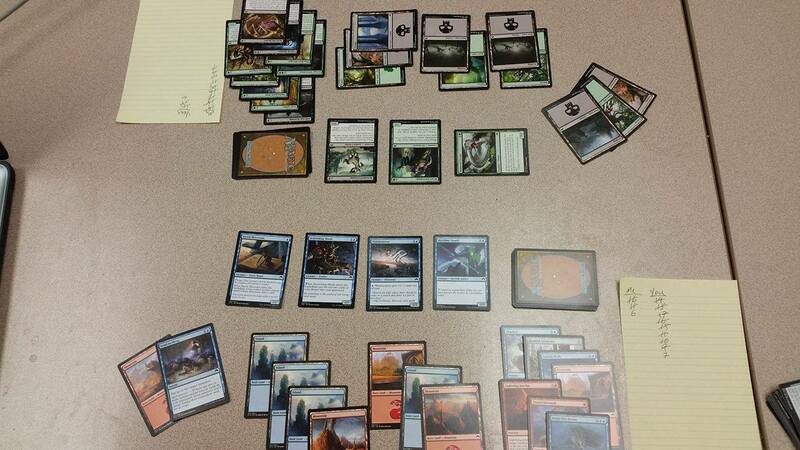 Did either player mulligan?” These questions establish the initial number of cards for each player. To do a count, count all the cards in all the zones except the library. All these are part of the count; make no distinction between zones. 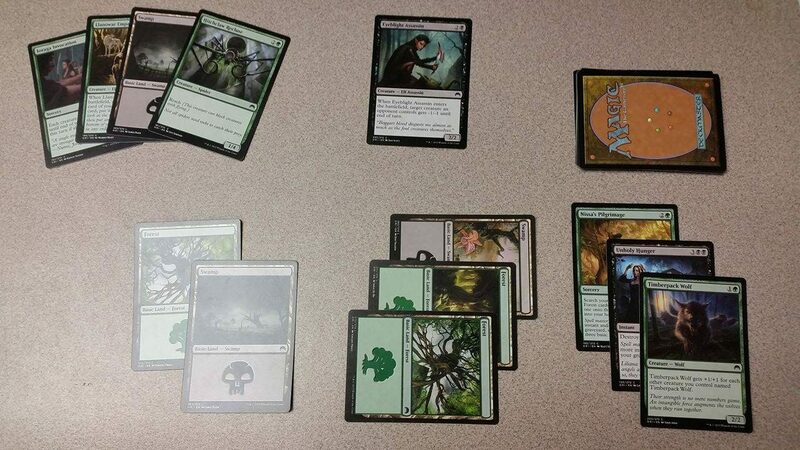 This count will indicate if more or less cards have left the library to go to another zone (most likely, the hand). Note that cards like Eternal Witness do not alter the count. For each card that replaces itself, for example, a fetchland, Ponder, Manamorphose, Elvish Visionary, Farseek, I leave these to the side of the count, because, for this purpose, some other card has taken its place in the game. For cards like Divination where the player draws two cards, put it and another card to the side. The same idea applies for cards that put two or more cards onto the battlefield. Take care with cards that mill cards from the library or which exile cards from the library. A source of problems is Thought Scour. Ask what cards were milled, You don’t want to run the risk of finding that a fetchland was in the graveyard because it was milled, for example. Do you think you know how to count? Then try this! Norberto began the game and he took a mulligan to 6. We are at the end of Analise’s turn. Norberto cast Chosen by Heliod targetting Phalanx Leader, but in response, Analise played Lightning Strike on Phalanx Leader, so Norberto did not draw a card from the enchantment’s triggered ability. Since Norberto began the game and took a mulligan to 6 cards, he should have 2 less cards than Analise, and this is what we have. Carrying on, no player has too many cards. Tell Norberto to treat suspicions of Cheating with more discretion; it’s not cool to call others Cheaters. I’d like to thank Jon Goud for providing me with these scenarios and David Elden for translating the original from Portuguese to English!